Today I have the most stunning styled shoot to share with you that has been sent into me by Elena Popa Photography and her incredibly talented team of amazing wedding suppliers. Together they have created a complete wedding, from the ceremony, right through to the food and drink, entertainment and fully decorated marquee. The results are this beautifully put together shoot, teaming rustic elegance with a touch of Provence to bring you a truly stunning Festival Wedding. I just love the way they have decorated the tables, as well as the hanging decoration in the marquee. 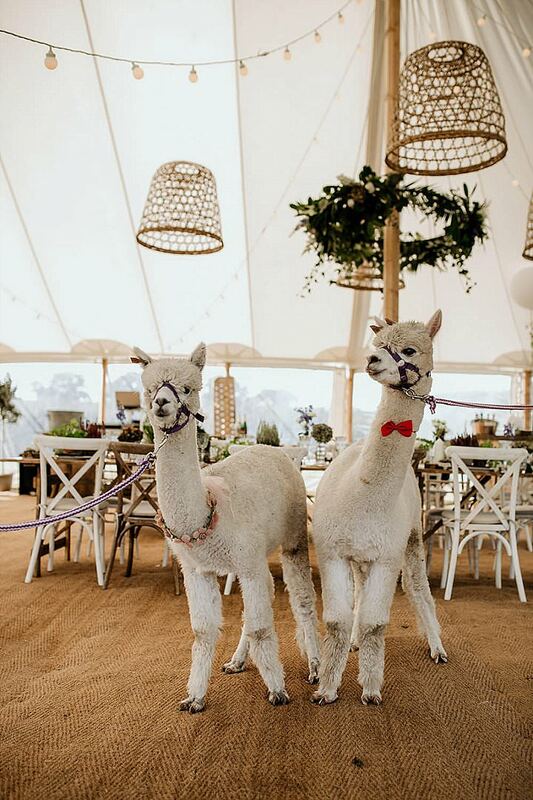 As for those Alpacas" Surely every wedding needs an Alpaca"!" Elena tells us more about the team and their inspiration for the shoot. Tucked away deep in the Warwickshire countryside lies Oakham Cottage; a vast landscape of undisturbed greenery, fresh air and gentle rolling fields, making it the perfect location for our Provence inspired ?Wedding Festival?. The core motivation for the Festival came from a place in our hearts that deems the traditional, corporate and sterile environments of wedding fairs stagnant and outmoded. This, paired with pure admiration for the elegant and the rustic, allowed a handful of unique wedding suppliers to capture the essence of the picturesque French panorama and isolate it within the confinements of one of Boutique Marquees luxurious Sailcloth marquees.